Learn how to get started with GeoTours. View GeoTour details for travel destinations. 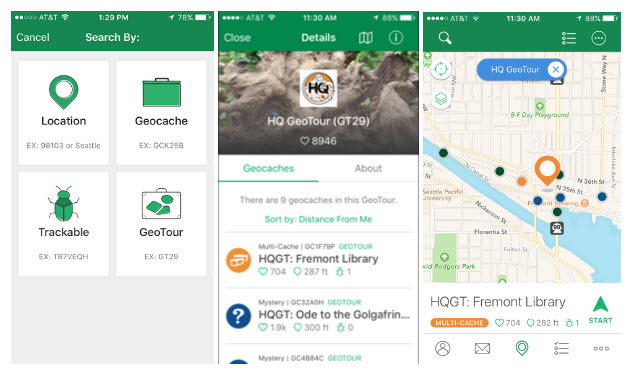 Search for GeoTours by specific GT codes. Bonus: Basic members can find and log GeoTour caches of all types and D/T ratings. The Geocaching® Android app is currently in the testing phase and should be released soon with ability to access GeoTours. So you claimed a feature is available, but only on one version (iOS) of the application? Then it is not really available for everybody .. When is this coming out to Android? It was released on Android only a few days after the original announcement above. My apologies for not announcing that specifically here. Our Help Center has more details. Below is a screenshot of the Operation Recreation GeoTour - GT3D - on an Android. When we said soon back in July, we really meant SOON.